Want to be hired by Mary? 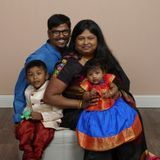 About my family: We are a family of four with two children,a 3yrs old and an infant 4 months old. What we're looking for: Ideally, we need a Full-Time live-out nanny for our infant baby, my 3 yr old will be going to pre school. Where we are: we're located in the South part of Mississauga, streetsvile. Starting: As soon as possible.